Yes, I know this might be construed as an exercise in relentless self-publicizing – which of course it is. Also, this post is an example of two things I have always enjoyed; the coincidences that occur when walking around a big city and one of my often-indulged favourite pastimes; photographing store windows. Yesterday I walked from Trafalgar Square to Euston Station a distance of about 1.6 miles (or 2.5 kilometres if you’re that way inclined). I decided to amble along the west side of Charing Cross Road, the sidelined with independent bookstores that always feature more interesting windows than the big chain book stores on the east side. I hadn’t gone much beyond Leicester (pronounced Lester as Brits never cease to point out) Square Underground Station past a café, a sweet shop (charming that such places still exist) a hairstylist advertising hair cuts for men and women, a store named Any Amount Of Books from which books flow onto the sidewalk like lava from a small volcano, a gaping entranceway to an apartment building (which Brits would call a block of flats) when I came to the blue façade and tall windows of Henry Pordes Books. (Surely everyone who has read this far has guessed where this story is leading.) 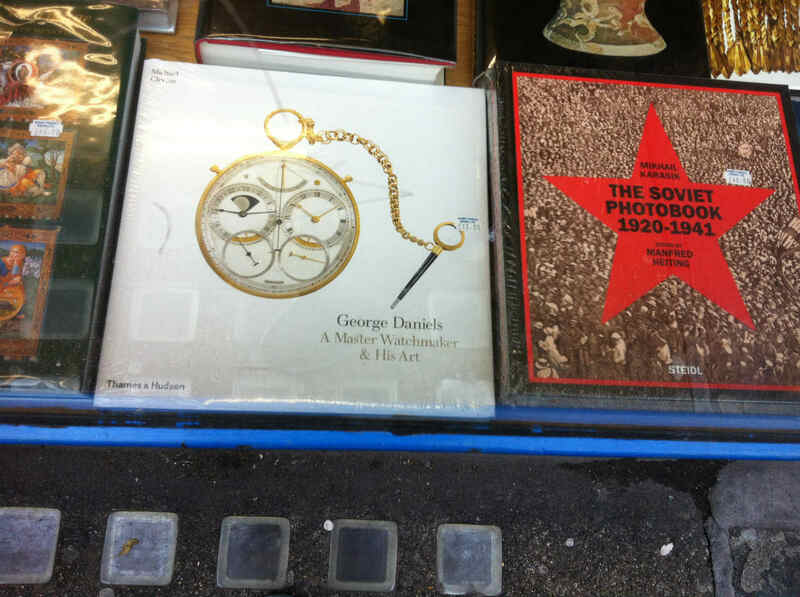 In the front row of the window nestled between a book on Soviet photography and another on palms (the hand part not the tree) in western painting sat George Daniels: A Master Watchmaker & His Art. A superb book written by, well, me. 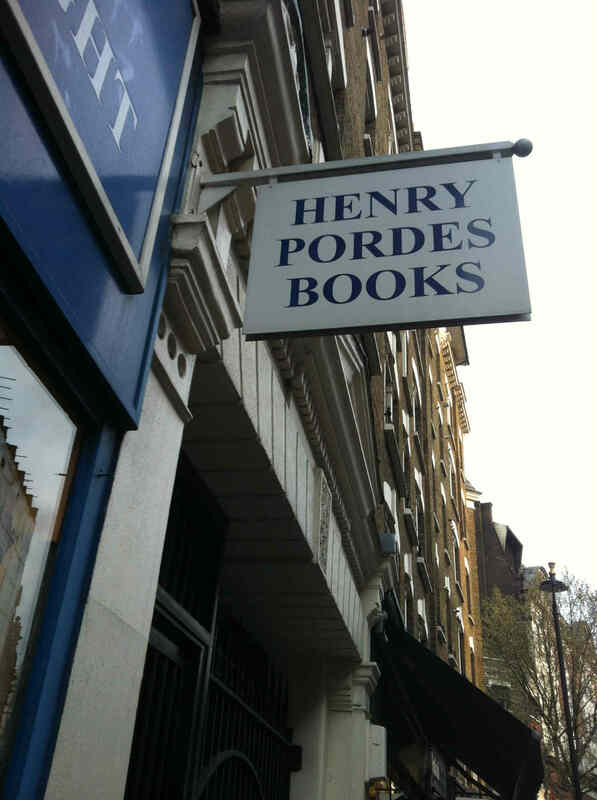 Henry Pordes sells antiquarian and second-hand books. Seeing my book there proves a point. Books are not thrown away but find their way into the food chain of sellers like Henry Pordes. I am happy about that. 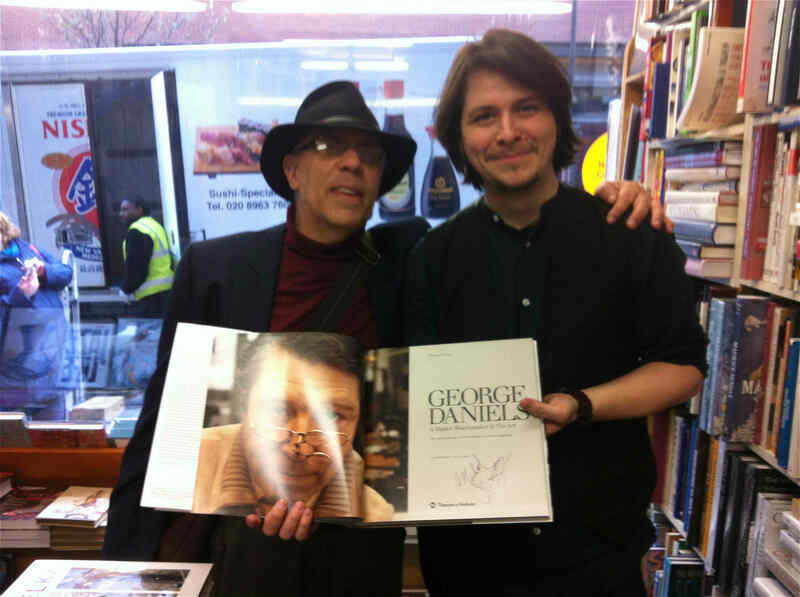 Our conversation over, I entered the store, found a member of staff and inquired about signing the book. As you can see from the photos my offer was happily accepted. The store manager John Nolfi even posed for a photo with the book and me. Sorry about the glare. Because of what happened yesterday, making allowances for the Antipodean of course, I plan to keep walking through cities and checking out bookstore windows. Really, it’s fun. You should try it sometime. Just be careful about talking to strangers.